SEOUL, Aug. 14 (Yonhap) — South Korea’s longtime online game giant Nexon Korea Co. is finding itself threatened by its smaller local rival Netmarble Games Corp. partly as mobile has become a more popular platform than desktops, market watchers said Monday. It marked the first time for the company to top 1 trillion won since its foundation in 2001, and some watchers cautiously predicted that Netmarble’s revenue may top that of Nexon. Sales for Nexon, meanwhile, came to 1.23 trillion won during the same period. Netmarble Games has produced some of the most successful mobile games, including “MARVEL Future Fight,” “Seven Knights” and Lineage 2 Revolution in December last year. The company successfully debuted on Seoul’s bourse in May. Lineage 2 Revolution, the mobile role-playing game, has gained huge popularity after its release in 11 Asian countries. It has raked in 20 billion won in revenue within just one month after its launch on the local market. 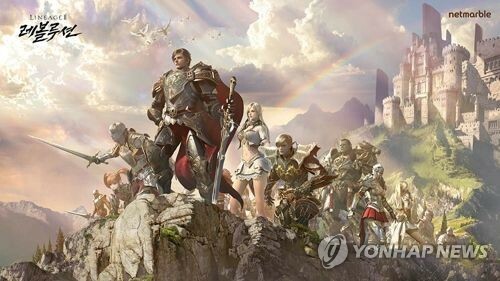 “Lineage M” by online game publisher NCsoft Corp. also had maintained the most popular app both in the Google Play Store and Apple’s App Store in South Korea before the launch of Lineage 2 Revolution. The company reported weak performance for the second quarter despite a rise in sales in part due to the poor performance of the company’s computer game business. Market watchers attributed the weaker-than-expected second-quarter earnings to more game players opting for the mobile platform than computers. 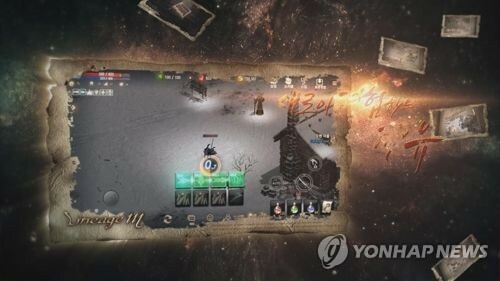 Last month, Nexon launched the third edition of its mega-hit series “Dark Avenger,” which has racked up more than 35 million downloads worldwide.